The history of knife-making in Seki began 780 years ago, during the Kamakura period, when a sword smith from Kyushu named Motoshige moved to Seki and became involved in Katana-making. -	Soil, which is used to create a surface pattern. Seki has all of these essential natural resources, making it the ideal city for forging Katana blades – the reason why Seki became one of the most popular and renowned sword-making cities in Japan. Many sword smiths worked hard together in the area at this time. In 1876, however, the government issued the Sword Abolishment Edict, which prohibited people from carrying weapons in public. The demand for Katana dropped sharply. Many sword smiths had to forge knives, small swords and shears in order to continue their way of life. 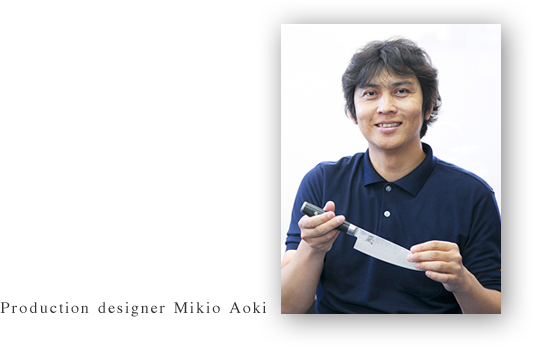 Because of this, Seki moved from being a sword-making city to producing kitchen knives for daily use. Given its rich history and cultural tradition, it is certainly not an exaggeration to say that the quality of knives made in Seki-made “not to break or bend, and sharply cut”-comes from the technology and beliefs of ancient sword smiths. Yaxell Corporation has inherited these ancient sword smiths’ traditional skills, and has been crafting professional kitchen knives since the company's establishment in 1932. Kitchen knives exist as essential products in our daily lives. This is the reason why we continue to strive for the kind of quality knife that customers not only want, but need. To this end, we develop new products from the ground up, designed to fit a variety of purposes and lifestyles. Combining the best of advanced technology with the unsurpassed knowledge and expertise of traditional craftsmen, we have created several high-end knife lines. Each high-end knife line has one Japanese character as its name: “豪GOU”, “嵐 RAN”, “膳 ZEN” and “紋 MON”. They are highly recommended by not only Japanese domestic customers, but by customers all over the world. We hope that our customers feel anticipation when they choose our products and pick them up, and exhilaration each time they use them. Yaxell Corporation will continue to pursue new possibilities for kitchen knives in the new era, and to work on maintaining and improving our manufacturing technologies to produce the highest quality products. In 2006, we launched the “嵐 RAN” series with the theme of “product development from a global perspective”. It is necessary to be particular about the best balance between the blade and handle when it comes to creating new designs for kitchen knives. Through a number of trials, we have focused on crafting a beautiful and balanced handle. The special feature of this series is the harmonization between a dignified, classic aesthetic and a stylish modern design which accentuates a fascinating Damascus-steel design pattern. “嵐 RAN” has become popular with customers the world over. This success has sparked a trend among other brands of putting one Japanese character on their blades. This success has affirmed Yaxell Corporation’s status as a world-class manufacturing company. We hope that our series, “豪 GOU”, “嵐 RAN”, “膳 ZEN” and “紋 MON”, will serve you faithfully in your day-to-day lives for many years to come. This is the reason why I couldn’t be happier working for Yaxell corporation as a product designer.